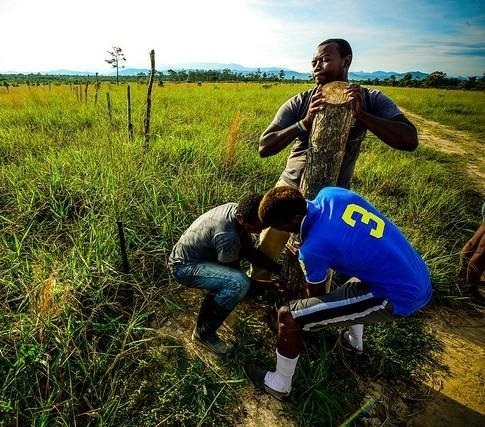 In 2015, the US Food Sovereignty Prize honors the Black Fraternal Organization of Honduras (OFRANEH by its Spanish acronym), Afro-indigenous farmers and fisherpeople who are defending their lands, waters, agriculture, and way of life. The Federation of Southern Cooperatives, primarily African-American farmers across 13 states in the deep South, shares the prize, which will be presented in Des Moines on October 14, 2015. The prize is given by the US Food Sovereignty Alliance, which is comprised of groups of advocates, activists, and farmers and other food producers. Food sovereignty asserts that people everywhere must reclaim their control over food systems. The US Food Sovereignty Alliance upholds the right to food as a basic human right, and connects local, national, and international movements for systems change. Below are excerpts from an interview with Miriam Miranda, coordinator of OFRANEH. OFRANEH works with the 46 Afro-indigenous Garífuna communities of the nation to defend their lands, agriculture, fishing, other riches of nature, identity, and rights. Without our lands, we cease to be a people. Our lands and identities are critical to our lives, our waters, our forests, our culture, our global commons, our territories. For us, the struggle for our territories and our commons and our natural resources is of primary importance to preserve ourselves as a people. We are a mix of African descendants and indigenous peoples who came about more than 200 years ago in the island of San Vicente. We live on the Atlantic coast of Honduras. 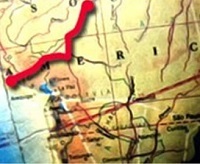 What we Garífuna face is largely the same things faced by people all over Latin America, and in fact the whole planet. If you map out the conflicts that are threatening our country, you’ll see they reflect exactly where transnational capital is trying to take more resources from indigenous peoples. Maybe you believe that President Mel Zelaya was ousted in a coup d’état [in 2009] because he was a leftist. No. It was because [those with wealth] wanted to take land and resources, which they are now doing. There’s more pressure on us every day for our territories, our resources, and our global commons. Look at the search for so-called alternatives to oil – through mining, mega-dams, et cetera. All these resources are being taken from indigenous areas. 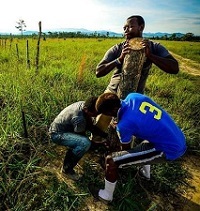 In Honduras, they’re taking land that we were using to grow beans and rice so they can grow African palm for bio-fuel. The intention is to stop the production of food that humans need so they can produce fuel that cars need. The more food scarcity that exists, the more expensive food will become. Food sovereignty is being threatened everywhere. Another of our main challenges is the tourism industry. We live almost on the sea, right on the beach. It’s a blessing but recently it’s also become a curse, because of course all those with power want to have a place on the beach. The Honduran government has started on some tourism mega-projects. The displacement of communities and the loss of cultures that come with the development of tourism [are increasing]. We’ve occupied and claimed ancestral lands that had been taken by others, such as Vallecito Limón. We’re also using international human rights law in order to guard our territories. We have a claim against the government in the Inter-American Court of Human Rights in Washington regarding Triunfo de la Cruz [a beachside Garífuna community whose communally owned lands have been taken]. We hope to have a decision in November or December. This will create an important precedent for all indigenous peoples, not just for the Garífuna. It’ll define the responsibility of the state to protect territories and rights of indigenous peoples. This will only be the [fourth] case ever brought that will help establish policies and mechanisms to protect the territories and resources of indigenous peoples, and all of humanity, of course. Women [everywhere are] defending life, culture, and territories, opposing a model of death that grows stronger each day. We are at the front of the avalanche of attacks. Everywhere throughout Honduras, like in all of Latin America, Africa, Asia, women are at the forefront of the struggles for our rights, against racial discrimination, for the defense of our commons and our survival. We’re at the front not only with our bodies but also with our force, our ideas, our proposals. We don’t only birth children, but ideas and actions as well. If the problem is global, we have to have a global response. It’s time for every human being in the global North to take up his or her responsibility in respect to the use of resources, responsibility relative to waste and to consumption. The standard of living that you all have in the US is unsustainable. You are the button-pushers. We [on the other end] have crises piled one after another. We are trying to resist and find every solution we can, but we ask ourselves: Hmm, are we the ones consuming all this energy? If those in the North are the consumers, why are we in Honduras paying? Why are we being displaced to generate energy for others? What are we supposed to do? Leave the planet to destruct, or make a change for future generations? They won’t have land or water or air. This is not pessimism, it’s reality. The time has come. For more information, please see US Food Sovereignty Prize. And also visit this site to learn about the US Food Sovereignty Alliance’s Month of Community Power.